A guest post is an article that someone external to the organization writes for a blog. The Hubstaff blog has published guest posts from awesome influencers in the industry, like Vera from Workhoppers, Anthony of Sticker Mule, Joe of Collage, and so on. It’s an excellent way to build relationships, increase thought leadership, and share ideas. Back in 2014, Matt Cutts shook up guest post advocates when he said guest blogging was dead. This article made waves around the Internet, inciting plenty of response pieces from respected businesses like Quicksprout and Search Engine Watch. A few years later, I fall on the side of guest posts. I think they provide a lot of value when done right. This article will cover the basics of guest blogging, what’s good and bad about it, how I find guest blogging opportunities, and how to provide value with each guest post. Now that we’ve had a few years to watch things unfold, here’s why I think guest posting is alive and well. Historically, guest posts were used to get backlinks for SEO, at any cost. Too often, these posts bordered on spam and were published in exchange for cross-promotion, or other reciprocal benefits. Guest blogging is a bad idea if you are in it just for the backlinks or to improve your search ranking. Even if you get a backlink from your guest post, you’ll end up with a poor article out there attributed to your brand. It’s even worse if you repurpose content in multiple places (sites get penalized for duplicate content), or do the unthinkable and (*gasp*) plagiarize. Guest blogging is a good idea when you’re interested in what you’re writing about, have the authority to write on the topic (beyond reading a few articles online about it), and have a genuine interest in the website you’re writing for. For example, I’ve been following Workfrom (go Oregon) for a long time, so when the opportunity came up to write for them, I jumped at it. Guest blogging enables us to reach out to brands we admire and opens new channels for communication. Now that I’ve written for them, we can just reach out to Shopify on Twitter with a quick question or to say hello. This is a big deal considering what a great resource their team is, and how well they’ve built their platform. These blogs have also opened up unexpected relationships. When I wrote Visa tips for remote workers on Teleport (another awesome remote work resource), I included an awesome service I use called VisaHQ. Someone from their PR team contacted me to say thanks, and now I have a direct line to them if I ever need help or have questions about getting a visa. Tracking where, when and who has mentioned your guest post or your brand is crucial for building relationships . This is what media monitoring tools, like Brand24, Mention & Buzzsumo, are made for. My best advice for finding a guest posting opportunity is to just reach out. If you find a blog that you like, look for a contact email and send them a quick email asking if they’d like a guest blog from you. To save time, brainstorm two or three title ideas that would fit with their blog, which you feel confident writing on, and include that in your email. Even if you don’t see any other guest posts on their site, it never hurts to ask. Another way I connected with blogs that I wrote for was on Twitter. Whenever someone shares a Hubstaff article, I get a ping (even if they didn’t tag us on the share), so I go in and check out their profile and website. If they’re interested in our content, chances are we’ll find their blog interesting too. If I see a website that I particularly like, I’ll reach out on Twitter, thank them for the share, and ask if they’re open to some guest post ideas. Companies are usually happy to accept a guest post from you provided it’s well-written and insightful. Unless their blog is purposefully in-team (for example, they only publish blogs written by people in their network), guest posts from outsiders provide valuable new insight. If you’re doing a guest post for branding, thought leadership, or another company, then you’ll find companies especially welcoming. If you’re trying to write a guest post as a freelancer, meaning you can bill the blog, if it publishes your piece, then you’ll have to research which websites pay for guest posts and how to formally pitch your ideas. Your aim is to provide the most valuable article you can for the platform you’re writing for, and the business you’re writing on behalf of. For me, that means writing pieces that are relevant and useful to the audiences of the blogs I reach out to, and that contribute to the thought leadership of Hubstaff. If it’s relevant to the post (and only then), I’ll even introduce Hubstaff in the article, so our product reaches a new potential audience. 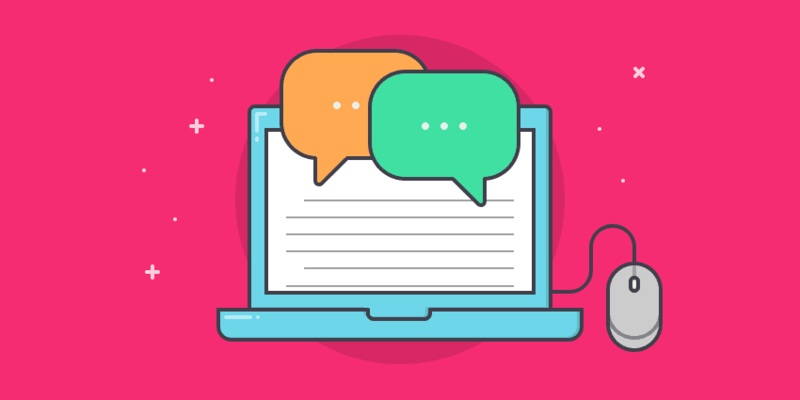 In order to write valuable guest posts, you should research the blog’s tone, voice and target audience. Look at the topics their customers may find interesting, and see where they intersect your own field of expertise. When you write a guest post, write about what you know. If you’re an expert in SEM, don’t pitch an article about customer service (unless you can tie it into SEM), because that’s not the topic you’ve built authority on. Thanks to guest posting, I was able to get some of my thoughts out on respected platforms, made new connections for myself and the Hubstaff brand, and got to share Hubstaff with new audiences. One of the best parts is, most of the time, we got those backlinks anyway! Whether it was in the article itself or in my author bio, Hubstaff got a few nice mentions, which did well for our SEO without being spammy or unethical. Here are a few other articles I’ve written as a guest. All for platforms that I like and respect. Want to talk about guest posts? 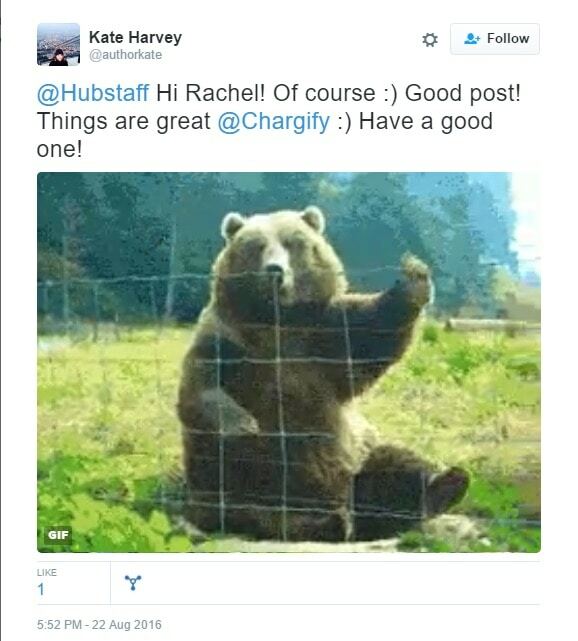 Feel free to send me a Tweet @Hubstaff.